Please feel free to visit us in our Management Office. 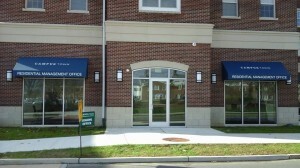 We are located at 600 Campus Town Drive Ewing, NJ 08638 (facing TCNJ’s Campus). When visiting our office, feel free to park in our retail parking conveniently located in the inner section of the Campus Town community.